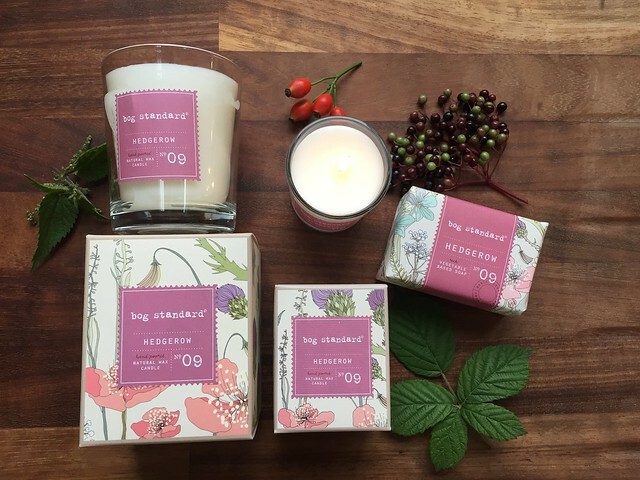 We thought it was about time we had a competition here on the Bog Standard blog and as this week, we've been featuring our Hedgerow scent across our social media accounts, it seemed like the perfect fragrance to use as our prize. Hedgerow is a gorgeous fruity range, inspired by early autumn hedgerow laden with the scent of ripe fruits and green leaves. It has top notes of peach, blackcurrant, strawberry, apple and raspberry alongside hints of green leaf, resting on a base of dry fruits and musk. It's gorgeous at this time of year in either candle or soap form. You can see the full hedgerow range on this link and prices start at just £4.95/€6.95. The competition will run from midnight on Tuesday 21st September until midnight on Tuesday 27th September and the winner will be selected at random and notified immediately. International entries welcome too - wherever you are, we can post our candles to you. Good luck and keep an eye on our Facebook page next Wednesday to see if you've won!